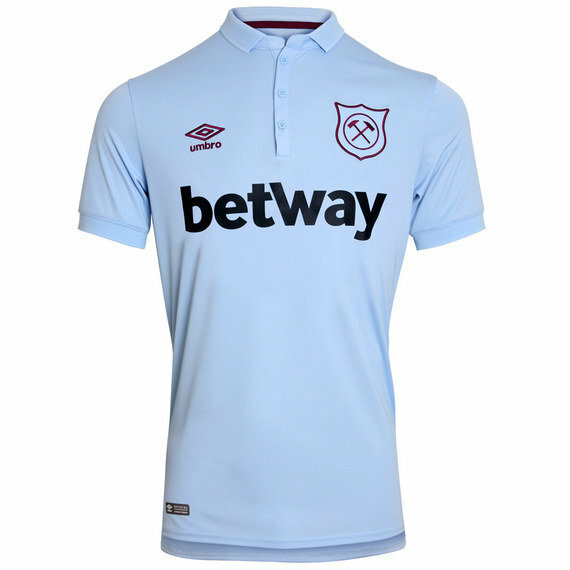 This shirt recreates the ï¬rst-ever kit worn by the Hammers in the 1900-01 Southern League season, and also carries the ï¬rst known club crest to have appeared on a West Ham United jersey, from the famous ï¬rst Wembley FA Cup ï¬nal in 1923. Made using lightweight, highly technical performance materials. Back of shirt features special body mapping for ventilation. Wear with the West Ham United 2017/18 Adult’s Third Kit Shorts and Socks to prepare for the season ahead.